A reminder to all Tyne Bridge Harriers that Tuesday 20th September sees the final race of the Summer series Grand Prix. 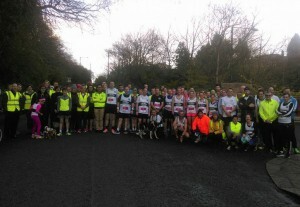 The two mile all out blast around Jesmond Dene has been a very popular series among Club Members and we want to see another superb turnout on Tuesday. Following last Tuesdays Summer Series Grand Prix Race. The all important points have been totted up and the current standings after 5 events is as follows. 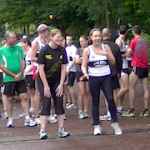 Congratulations to Micky Baker for taking first place in the Jesmond Dene Handicap Race last night. The final race in the series of 4 hosted by Heaton Harriers takes place on Thursday evening (14th July).